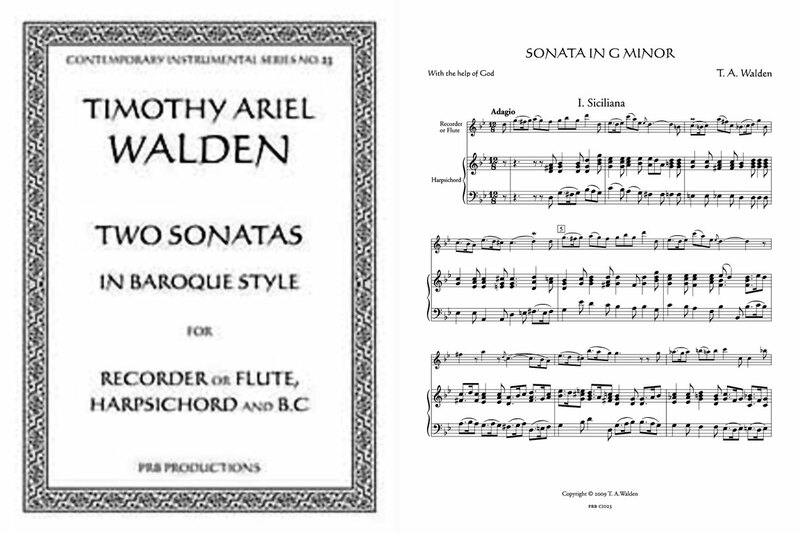 Timothy Ariel Walden studied recorder under Roger Benolin at the Geneva Conservatory, and music at Oxford. Publication of these sonatas, in G minor and C major, each of five movements, is a new venture by PRB: they are in the style of Telemann/Vivaldi/Handel, but completely original. The harpsichord part is realized but the composer encourages performers to ornament the recorder part and "improve on" the harpsichord part. The edition includes the basso continuo part, suitable for cello, gamba or bassoon.